To meet the Daubert standard of admissible expert testimony, the expert must be qualified and the expert’s opinion must be based on reliable data. When should the judge, acting as a gatekeeper to shield the jury from speculative or unfounded testimony, exclude the expert’s opinion? Conversely, when should the judge trust the jury to decide whether an expert is qualified and whether the expert’s opinion is reliable? Those questions go to the heart of the many conflicting interpretations of the Daubert standard. A district court judge in the Southern District of New York recently applied the Second Circuit’s liberal standard of expert witness admissibility in deciding that a securities expert should be permitted to testify as an expert, despite his limited experience with the kind of securities that were at issue in the case and despite arguable flaws in his analysis. Revelation based its defense on the premise that the securities, offered by a Canadian fund, involved a “best efforts offering” rather than a “firm commitment offering.” The difference between the two securities underwritings has to do with whether the selling agent guarantees the sale of all offered shares to the issuer or merely promises to use its best efforts to sell them. Since the difference between “firm commitment” and “best efforts” underwritings will be obscure to the average juror, the SEC wanted to rely on an expert witness to fortify its position. 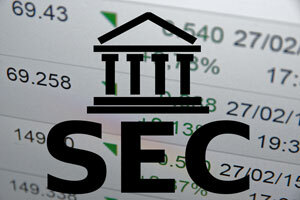 The SEC notified Revelation that it intended to call Guy Erb to testify about the meaning of “firm commitment” as that term is understood in the securities industry, and to express the opinion that the Canadian securities involved a firm commitment offering, not a best efforts offering. Revelation notified the SEC that (in addition to its securities expert) it intended to call Dennis Dumas as an expert witness. Revelation, a Bermudian company, wanted Dumas to testify about the factors that companies outside the United States consider when they determine whether a foreign securities transaction will be subject to American law. Dumas’ expert report expressed the opinion that the Canadian offering was not consistent with offerings that fall within the jurisdiction of American law. Each party moved to exclude the other party’s expert witness. The court decided that the SEC’s expert should be allowed to testify but barred the testimony of Revelation’s expert. The district court easily decided that Dumas’ testimony was not relevant. Dumas proposed to testify that market participants such as Revelation would not have understood that the transaction was subject to SEC rules. The court concluded that whether the SEC’s rules applied was a legal issue for the court to decide, not a factual issue for the jury to resolve. Revelation’s understanding (or misunderstanding) of the rules was not relevant to the legal issue and did not provide a defense for the jury to consider. Since Dumas’ proposed testimony was not relevant to any issue of fact, the court excluded his testimony. A more difficult question involved Revelation’s contention that Erb was not qualified to testify as an expert. Revelation contended that Erb was unqualified because he had experience with only a handful of securities underwritings, all of which were firm commitments. According to Revelation, Erb’s lack of experience with best efforts underwritings, and his minimal experience in general, made him an unqualified to testify. Applying the Daubert standard of admissibility, the court asked whether Erb had “superior knowledge” that was relevant to the subject matter of his testimony. The court relied on Second Circuit precedent, which it characterized as having a “liberal thrust” and a “general approach of relaxing the traditional barriers to opinion testimony.” Notably, that approach is at odds with the view that Daubert and Rule 702 of the Federal Rules of Evidence are meant to restrict the admissibility of expert evidence. The court was not disturbed that Erb’s experience was not “directly on point.” The court noted that expertise in a “closely related field” can substitute for experience in a pertinent specialized area. Erb had a quarter century of experience in international finance and a dozen years of experience working in the securities industry. He has handled international securities underwritings, including firm commitment offerings. The fact that he has not directly handled best efforts underwritings did not disqualify him from opining about the securities industry’s understanding of the difference between the two. To the extent that Erb’s qualifications can be challenged, the court decided that the challenge should be made during cross-examination, giving the jury a chance to evaluate how Erb’s experience affects the credibility of his opinions. Revelation also based its Daubert challenge on the alleged unreliability of Erb’s opinions. Revelation contended that Erb failed to consider sufficient facts and data to justify his opinion. In support of that contention, Revelation pointed to documents and witness statements that allegedly contradicted Erb’s expert opinion. Again turning to Second Circuit precedent, the district court noted that “not every flaw in an expert opinion warrants exclusion of the testimony.” An opinion is unreliable only when the data is inadequate to support the expert’s conclusion or when the expert’s reasoning or methodology is incapable of producing a reliable result. The existence of data that might contradict the expert’s opinion goes to the weight the jury should give the opinion, not to its admissibility. The court noted that Erb identified the difference between firm commitment and best efforts offerings by referring to standard reference materials in the securities industry. Erb then examined how the Canadian securities were offered for sale and compared those practices to the practices that he had observed in his own experience. He pointed to specific facts and documents that supported his opinion. Revelation pointed to a number of arguable errors and flaws in Erb’s opinion. While Erb arguably failed to address clauses in the offering documents that might undermine his opinion, the court decided that the failure goes to the weight that his opinion should be given, not to its admissibility. And while Erb’s report may have cited an inapplicable regulation and may have failed to analyze certain disclosure rules, those flaws in his analysis were not so substantial that they completely undermined the basis for his opinion. Other experts (including Revelation’s) might differ with Erb’s opinion and might rely on other evidence as the basis for their differing opinions, but the fact that an expert opinion might be challenged by another expert does not render it inadmissible. The court noted that the concept of reliability is “fluid,” which might be a nice way of saying that some courts will find an expert’s opinion to be reliable and therefore admissible while other courts will exclude the same opinion as unreliable. The line between a flawed opinion that is admissible and a flawed opinion that the jury should not hear is not easily drawn. In this case, again applying a liberal view of admissibility, the court decided that Erb had sufficient grounds for his opinion to remove it from the realm of conjecture, and that he did not deliberately twist facts or manipulate data. That was enough to persuade the court that the jury should make the final conclusion as to its reliability.